When someone gives you the opportunity to interview two people who you have looked up to as idols, there is no thinking to be done, only a garbled "HECKYES" to be shot out of your mouth hole. 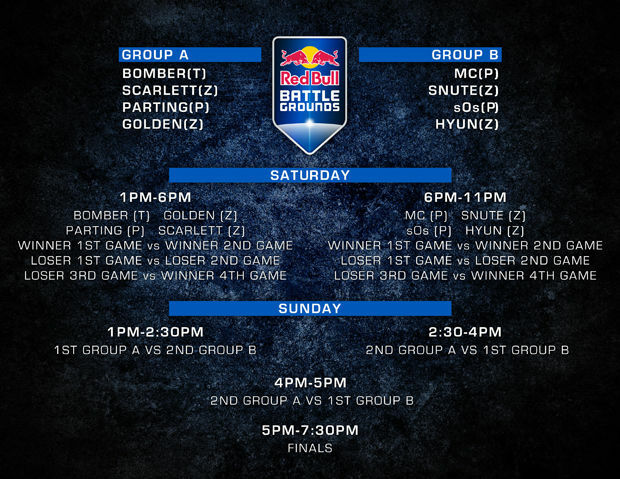 There are four amazing casters this at this weekend's Red Bull Battlegrounds: Day, TotalBiscuit, Mr. Bitter, and djWHEAT. Recently, I was lucky enough to get to ask the former two questions about StarCraft, eSports, and even HearthStone. I learned, I laughed, I freaked out because these guys are huge personalities and really smart and I'm not worthy. I believe that it's always important to begin interviews with a really tough question. One to get the interviewees on their toes and keep them there, to let them know that I'm not playing around here. So naturally, I asked them which competitor has the best nickname. TotalBiscuit acknowledged the toughness of the question before answering with Choi Ji Sung's nickname of "Bomber." "Honestly, I think it really encapsulates his play style…and also his unfortunate tendency to sometimes 'bomb' out of tournaments in the most dramatic fashion possible. It’s got to be him." Day chimes in, mentioning that "the better you are, the cooler your nickname sounds," while also mentioning that "Snute," the nickname of the Swedish Zerg player Jens Aasgaard, will never be a fierce name. He's right, it's tough to imagine someone cowering in fear because someone named Snute is coming at them. "I’m a big fan of the one word, catchy names, like 'NaDa' is a dope name. That's so good." Lee Yoon Yeol, or NaDa, no longer plays the game, but when he did, he was an amazing Terran player from South Korea. It's tough to explain to someone exactly why I like watching StarCraft II most of the time. I don't want to go into detail about any specifics, because it's going to lose whoever I'm talking to. I'm glad I asked TotalBiscuit to sum up the appeal of StarCraft though, because his answer was relatable and near-perfect. StarCraft II is like "chess on 10 boards in real time." Exactly. The strategy of chess, the complexity of chess on 10 boards at once, all happening quickly in real time. Thanks, TB! I'm going to use this from now on for sure. Then, we talked JaeDong. For those out there who don't know who Lee "JaeDong" Jae Dong is, he's a Zerg player from South Korea who seems to always crumble in finals and get second place. It's become his "thing." He is by no means a bad player, in fact, Day calls his improvements "just terrifying," but when it comes down to the big stage, he always falls short. "It's only a matter of time," says TotalBiscuit, "...it's getting kind of ridiculous that he keeps hitting second place. He clearly has the talent." Day agrees that he's bound to take first. "I think JaeDong will soon enough be the guy who is winning or be the final boss at every tournament." He also brings up INnoVation, a Terran player from South Korea, as he was the first and best to start using the Bio/Mine strategy as Terran in Heart of the Swarm. As players grew, they began to also use Bio/Mine, "and now INnoVation is just another Terran who does Bio/Mine." Day recognizes that JaeDong's issue isn't with build orders though, and instead just an issue of strength. "He’s overpoweringly good, and I truly think soon enough he will be the final boss of StarCraft II." The final boss...I like that, and totally agree. If someone is going to try to win a tournament with JaeDong in it, they're going to have to finish off the final boss first, which will likely be JaeDong himself. 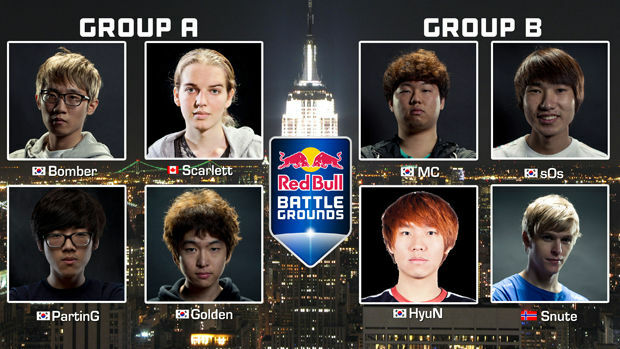 Something I noticed while looking at the contestants for the Red Bull Battlegrounds was the amount of players in each race. Four Zerg, three Protoss, and only one Terran. I asked if the Zerg and Protoss players were just hot right now, or if there is some bigger, more overarching issue with the Terran race. Well, they were both quick to point out that the sample size is way too small to say there's any issue with any of the races. Thanks guys for making me looks STUPID. Gosh. Day does mention that he has seen Terrans struggle a little bit statistically, but that this is just a sign of a healthy balance. Terrans were once on top, and now they're on the bottom. "There has to be fluctuation for it to be an interesting and healthy game." There's a bit of debate throughout various competitive games as to the frequency of patches. Some believe that if something gets patched in that seems unbalanced, it is up to the metagame to evolve around that issue. Others, however, think that a steady flow of frequent balance patches are more important, in order to always keep things fair and equal. I directed this issue towards the two casters to get their input and see which they prefer. TotalBiscuit mentioned that it largely depends on the game; Dota 2 and League of Legends get patches all the time to add in marketable goodies. StarCraft II, however, has less frequent patches simply due to the nature of the game. "I’m in favor of less patching," TotalBiscuit says, "allowing the metagame to stabilize and for players to try to find solutions. But I'm also in favor of more frequently rotating map pools in tournaments, because a lot of this balance stuff is effected by the maps in play right now, not whether a unit is too strong or a statistic needs to be fiddled with." Balance is an incredibly delicate issue, which is something Day is incredibly aware of. "I’m ok with patching happening semi-frequently, to address the extra styles and just make the game fresh and new and interesting. But I think that trying to patch aggressively to balance, is dumb." He knows it is important to stay open to a large variety of styles in a game like StarCraft II -- if Blizzard buffs a specific unit, players are going to start thinking of new and inventive ways to start integrating that unit into their strategies. Naturally, I wanted to know what they both thought of the new hotness, Blizzard's own HearthStone. More specifically, I wanted to know if they thought it could bring new life to the CCG world in the streaming universe. Day thinks HearthStone is "pure fun," and way more suitable for streaming than, say, Magic the Gathering, which Day claims is "probably the best card game of all time," but doesn't stream well due to the lack of visibility of everything at once. TotalBiscuit also compares HearthStone to MtG, saying that HearthStone is "easier to access" and "more of a visual experience." He's also quick to bring up that at this past BlizzCon, the stream brought in 100,000 concurrent viewers, and that's for a game that doesn't even have a proper observer mode! I also wanted to talk about the eSports scene in general. I brought up the amount of vitriol surrounded the scene, which is pretty evident in many of the posts I put up here on Destructoid. It's not uncommon to still see a "lol esports" post or tons of hatred when the worth "athlete" or "sport" is thrown around. "It’s just semantics. It’s stupid, it doesn’t matter," Day says. "'Is it a sport? 'Because sports are big' -- it doesn’t matter. We’re huge, we’re trumping sports in many ways -- particularly player base. The number of people that play football -- it's nada. Or like 'should we be on TV.' Who watches TV? Objectively, it just doesn’t matter. The people who play deserve immense respect because what they do is hard." "In terms of athletes, we unfortunately need it for legal reasons, for immigrations issues. Which I have experienced firsthand myself, and continue experience as the owner of a team. They should be called athletes if only to allow them to travel to compete -- and this should extend to all games, and even other things like competitive card gaming, or even Scrabble…which I think you can travel under a visa for as an Athlete. If Scrabble counts, then I’m pretty sure StarCraft II should." TotalBiscuit also has an idea of where eSports will be in ten years. Naturally, the scene will be bigger and better. 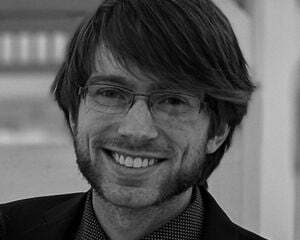 "The games may change but production values will rise hopefully prize pools rise." One thing that won't change is the way we watch eSports. "If we were to look at television and think about putting eSports on, we would be looking backwards." The eSports scene has always had on-demand video, an idea that TB says is all people want right now with regular television, showing eSports ahead of the curve. "Well, we thankfully have a really good casting team, that is more than capable of explaining the game on a very basic level," said TotalBiscuit. "Not to blow my own trumpet, but I’m pretty good at play by play; so I think people will understand the excitement by watching it. 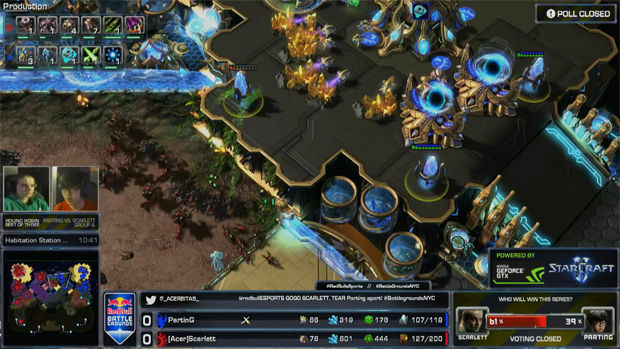 "The way that StarCraft II flows, on the screen is very similar to a traditional field sport. So if the other guy is in the opponent’s end zone, you know something is going horribly wrong. And I think that you can pick up the terminology and the nomenclature easily. And I think it’s easy to be swept up by the excitement when you hear the crowd and when the commentators are on their feet and the players are executing something that is so obviously technical and obviously rapid and strategic, you can’t help but be excited by it." As for Day, he said he "would tell them -- definitely keep the volume up, so you can hear the commentators. Because in a sport there’s a lot of physical understanding that you bring to the table; if you see me slam dunk a basketball, you know that it’s difficult, because you’ve jumped before and know how high the hoop is. In eSports -- you don’t get that physical understanding. That’s our job, to tell the story, give the information and give the story and clarify. 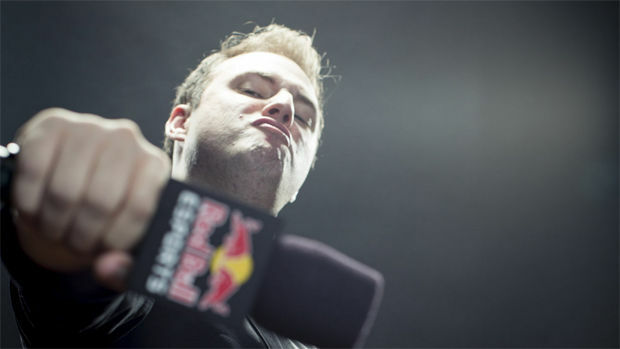 "And definitely watch with a friend, or go to TeamLiquid or go to Day9.tv chat and ask questions. That’s the biggest advice I’d give -- watch it with a friend and reach out to the community, because they love talking about StarCraft." TeamLiquid is certainly an amazing place to start if you want to get into eSports. It's where I learned to stay on top of tournaments being played and slowly started to learn the players playing. Go in, create an account, and start asking questions!